What it is: Full-blown shine from a liquid lip-plumping, moisture-rich gloss. 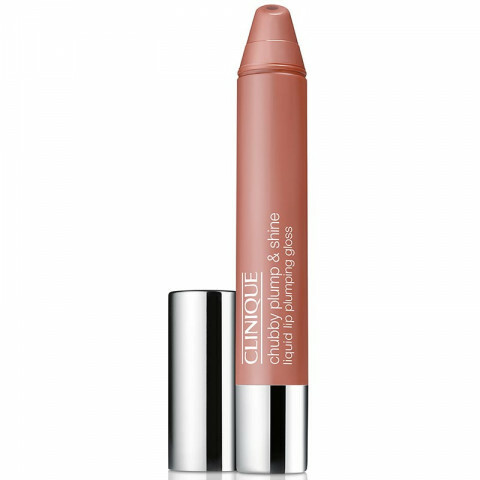 What it does: This light-reflecting, high-shine gloss enhances the appearance of lips, making them appear plump and smooth. Moisturizes, wears for hours. Feels refreshing and cool upon application. Great to know: Dermatologist Tested. Allergy Tested. 100% Fragrance Free. How to use: Twist up to pump up. For best results, apply to clean, bare lips. Can be applied just over the lip line for a fuller appearance. Reapply as often as desired. Wear alone or over any lipstick and/or lip liner. This liquid lipstick is perfect for the woman on the go. It's super pigmented, creamy and has incredible shine. It nourishes the lips, gives them a nice tint and most of all works super well as a base. Perfect texture and color on the lips, lasts well too. This chubby lip balm really looks natural on my lips. Never looks too thick. Just give a single swipe on both of your lips and thats it. Reapply after few hours.